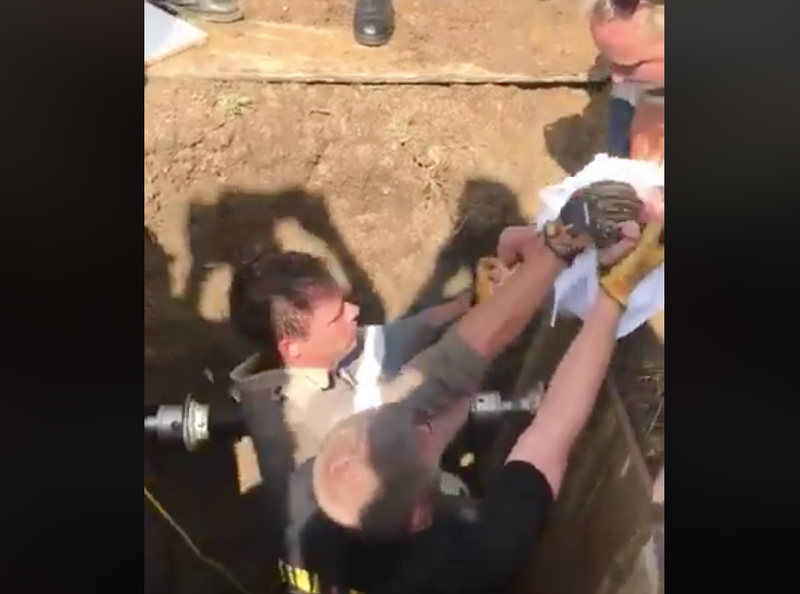 The area was dug up and a chisel and hammer were used to break into the drain. It was raining last night, this little baby was washed down from up on the roadway. "It's really a miracle that this baby was saved". After being transferred to Chief Albert Luthuli hospital, news came through that this courageous little one was doing well. "She has been awake, responsive and crying", Dr. Timothy Hardcastle told News24 Durban. Her glucose, and sugar levels have been good. "It is mercy from above that she is alive". He added:' It is great news she has been rescued and she is now in a stable condition so a great ending for all the rescuers and personnel and paramedics who did this. "She's basically stable enough to be transferred to one of the other base hospitals". Photos of the child, posted on social media, show that she is now recovering from the ordeal.